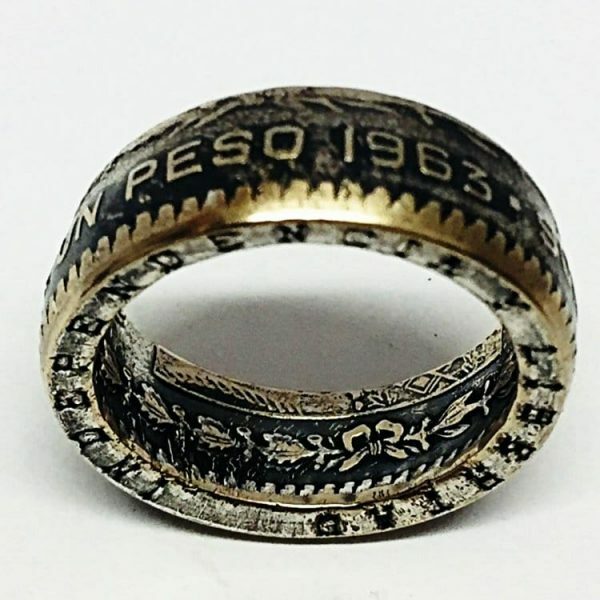 The peso was originally the name of the eight-real coins issued in Mexico by Spain. 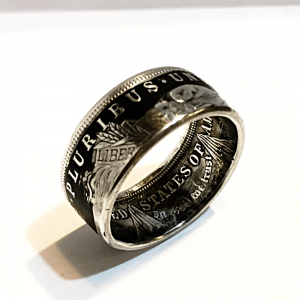 These were the so-called Spanish dollars or pieces of eight in wide circulation in the Americas and Asia from the height of the Spanish Empire until the early 19th century (the United States accepted the Spanish dollar as legal tender until the Coinage Act of 1857). In 1863, the first issue was made of coins denominated in centavos, worth one hundredth of the peso. This was followed in 1866 by coins denominated “one peso”. Coins denominated in reales continued to be issued until 1897. In 1905, the gold content of the peso was reduced by 49.3% but the silver content of the peso remained initially unchanged (subsidiary coins were debased). 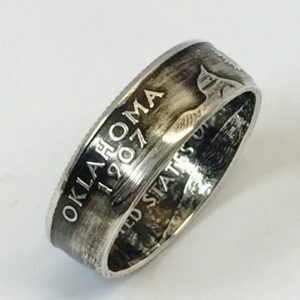 However, from 1918 onward, the weight and fineness of all the silver coins declined, until 1977, when the last silver 100-peso coins were minted. 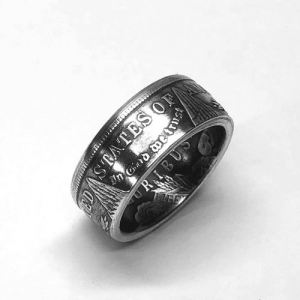 The Mexican Peso Coin Ring is stunningly attractive and never fails to draw the eye.